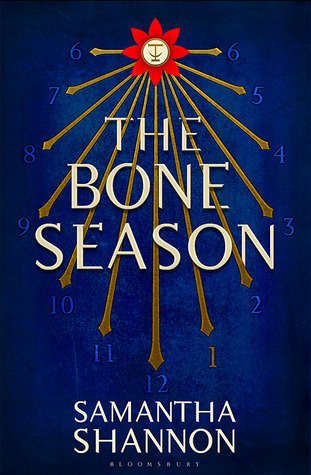 T he Bone Season by Samantha Shannon is a fantasy set in the years 2059 in a London that’s very different thanks to a change in the course of history over two hundred years earlier. The unnaturals, people with clairvoyant abilities of differing types, are hunted and sent to a place called the Tower. Nineteen-year-old Paige Mahoney is a dreamwalker. Paige is caught and sent to the lost city of Oxford, where she discovers that her whole world, the world of Scion, has been a lie. Faced with a group of creatures she doesn’t understand, she has to fight for herself and her friends. This book was a really interesting read and rather complicated, but the varying types of clairvoyance became a little confusing at times along with the similar names and houses of the Rephaites. The guides at the front of the book didn’t shed enough light on the difficulties I had so when detail was given I tended to skim over it. Otherwise, I really enjoyed this book. Paige is a strong character who tended to overshadow a lot of the others. Some of the other characters motives also eluded me (David, for example). But the story itself was interesting and kept me involved until the end.